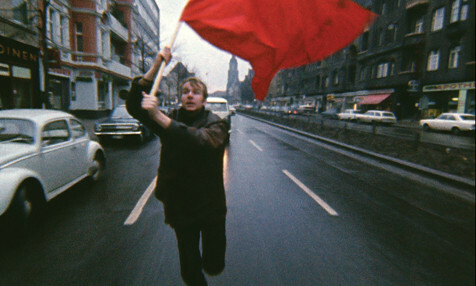 A German Youth chronicles the political radicalization of some German youth in the late 1960s that gave birth to the Red Army Faction (RAF), a German revolutionary terrorist group founded notably by Andreas Baader and Ulrike Meinhof, as well as the images generated by this story. The film is entirely produced by editing preexisting visual and sound archives and aims to question viewers on the significance of this revolutionary movement during its time, as well as its resonance for today’s society. Jean-Gabriel Périotdirected several short movies. Has developed his own editing style with archives. Between documentary, animation and experimental, most of his works deal with violence and history. His last works, including Our Days, Absolutely, Have to Be Enlightened, The Devil, The Day Has Conquered the Night and Optimism, were shown worldwide in numerous festivals and were honored by many prizes. A German Youth is his first feature. Gay? (2001, short), Journal intime (2001, short), 21.04.02 (2002, short), Avant j’étais triste (2002, short), We Are Winning Don’t Forget (2004, short), Dies Irae (2005, short), Undo (2005, short), Under Twilight (2006, short), Eût-elle été criminelle… (2006, short), Nijuman no borei (2007, short), Entre chiens et loups (2008, short), L'art délicat de la matraque (2009, short), Les barbares (2010, short), Looking at the Dead (2011, short), The Devil (2012, short), Le jour a vaincu la nuit (2013, short), Օptimism (2013, short), We Are Become Death (2014, short), Si jamais nous devons disparaitre ce sera sans inquiétude mais en combattant jusqu'à la fin (2014, short), A German Youth (2015).